for your customers, employees, and partners. 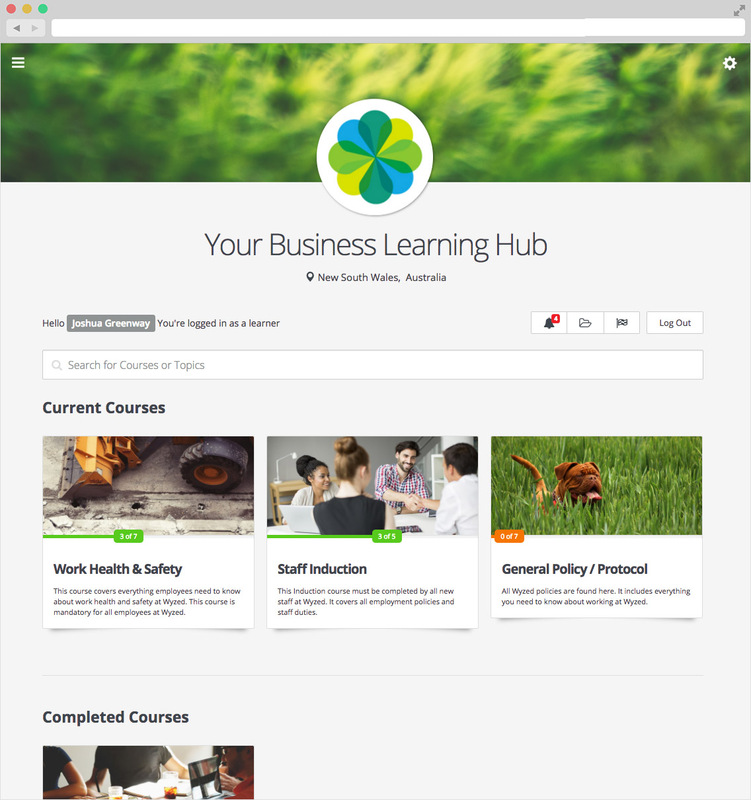 Easily create and deliver beautiful online learning within minutes. Every account comes custom branded to your business, and all learning is mobile friendly and accessible anywhere, anytime. "We've been using the Wyzed platform now for a couple months. It's really awesome and our entire team loves it. It's very reasonably priced, has a lot of value, and the team at Wyzed has been very responsive and great to work with. We're using it internally as well as with partners and will soon be using it with some of our clients as well. Really robust and great value." Create more space in your business and set your team up for success from the start with automated online training. Streamline all aspects of employee management including hiring, on-boarding, ongoing training and staff development. Easily provide 24/7 access to the support your team needs and automate your training today. Increase retention rates and delight your customers with 24/7 access to beautiful online learning. Easily automate the delivery of your services online, and offer everything from onboarding, training and product support, through to membership sites and complete online service packages. We all know appearances count! Present your business professionally with a fully branded training centre to suit your company, and a customized URL to match your website. Give new staff and customers the support they deserve, so that they hit the ground running. It’s better value from day one, and better retention right from the start. Your staff and customers can access your training on their phone, tablet or desktop at anytime making help and support available whenever they need. Wyzed tracks and logs all user activity automatically. See what stage your team members and customers are at with their training and easily help them out when they need it most. There's no point delivering training if you don't know what standard your learners are up to. Wyzed lets you easily quiz and assess your learners at any stage of training. Create and deliver as many training programs as you like. Add text, video, images, objectives, discussion areas, upload fields, and interactive apps - it's unlimited so go nuts! Wyzed it completely flexible to suit your business. It can be used anywhere from a clean storage area for all your policy and procedures, right through to a fully interactive online training center for your customers and employees. If you have the tech skills to send a text message then you can definitely use Wyzed. We know you’re busy, which is why we made the interface so clean and simple to use. A professional, secure training area for your business or organisation. All hosting plans come with customised business branding, complete set up and training. Video and phone-based training included with all plans. *Plans are a guide only, and we can tailor pricing more closely to your user numbers and training needs. To view our Terms and Conditions or review a more detailed Pricing Breakdown for your exact user numbers, please contact us using the form below. Would you like a no-obligation, personalised demo of Wyzed? Pricing for your business? Or just like to learn more? Please use the form below and we'll get back to you ASAP.